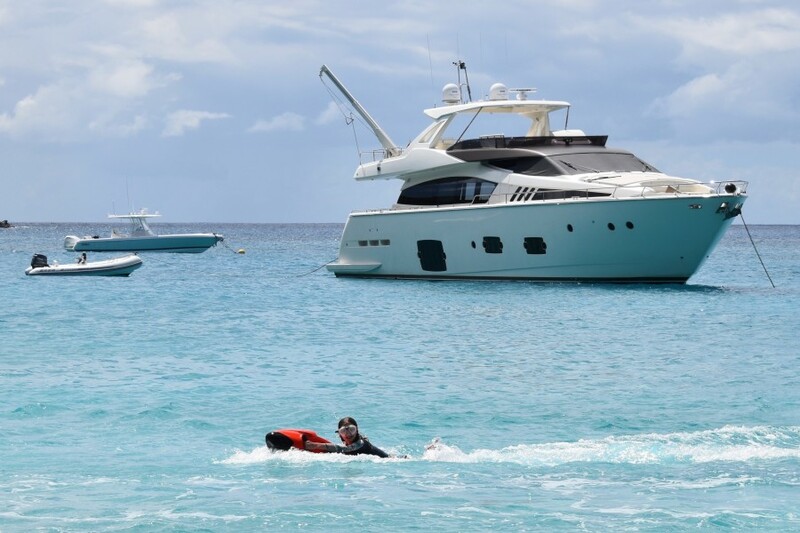 LA PACE is a rare offering. 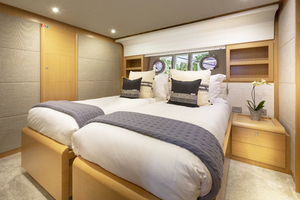 Presented in perfect condition, thoroughly updated, equipped and approved for charter, and priced very competitively.Contemporary modern design gives the interior a bright airy feel and the décor gives the feeling of a 5 star beach club.LA PACE sleeps 8 in the Owner’s party in 4 very comfortable staterooms on the lower deck and 4 crew in 2 cabins. 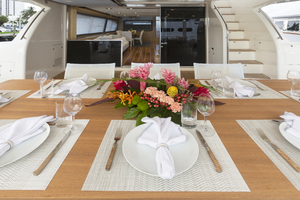 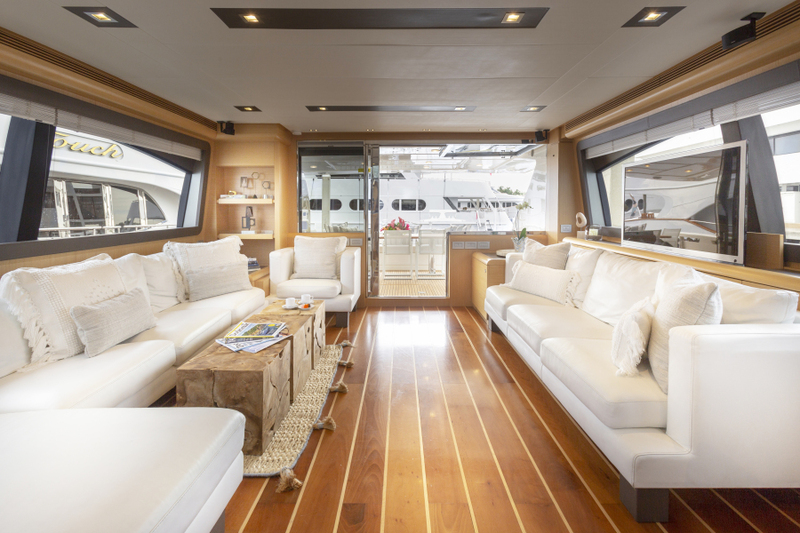 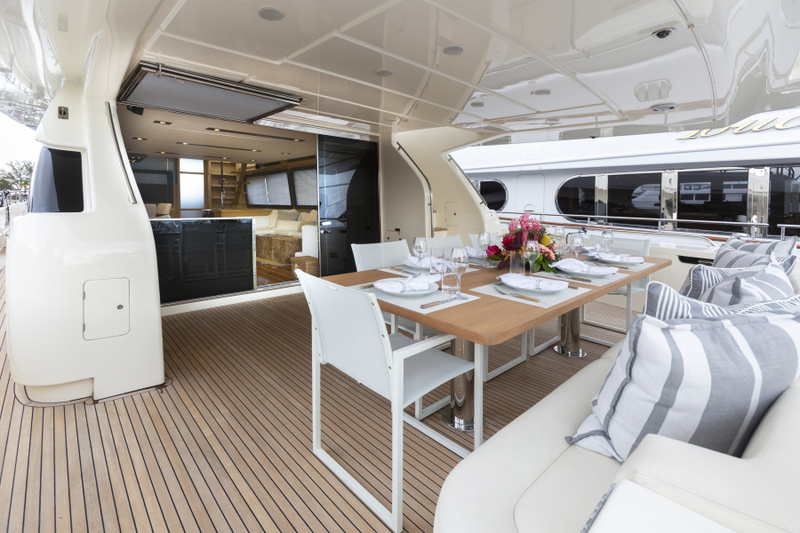 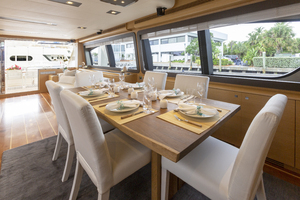 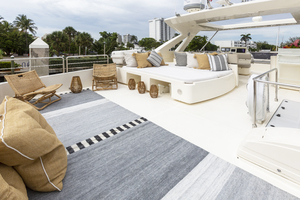 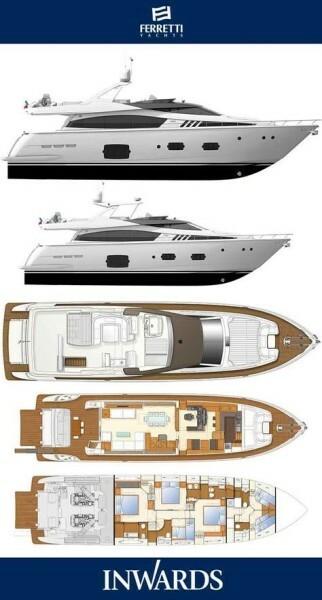 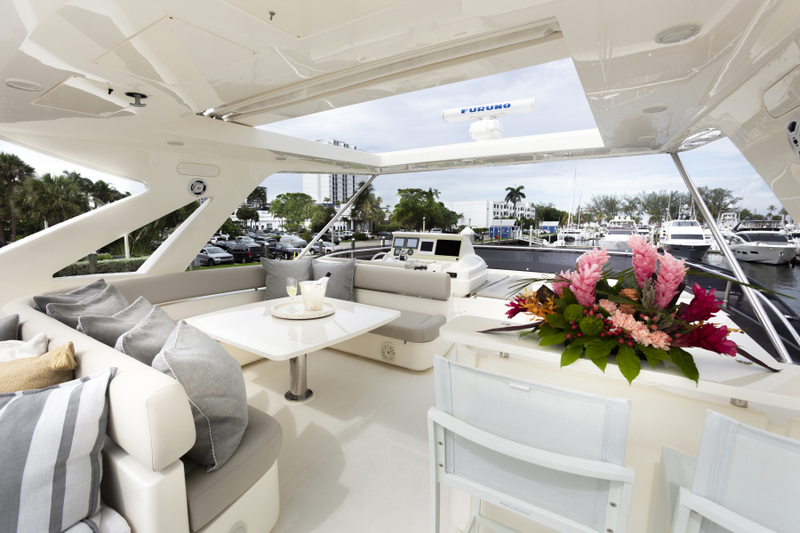 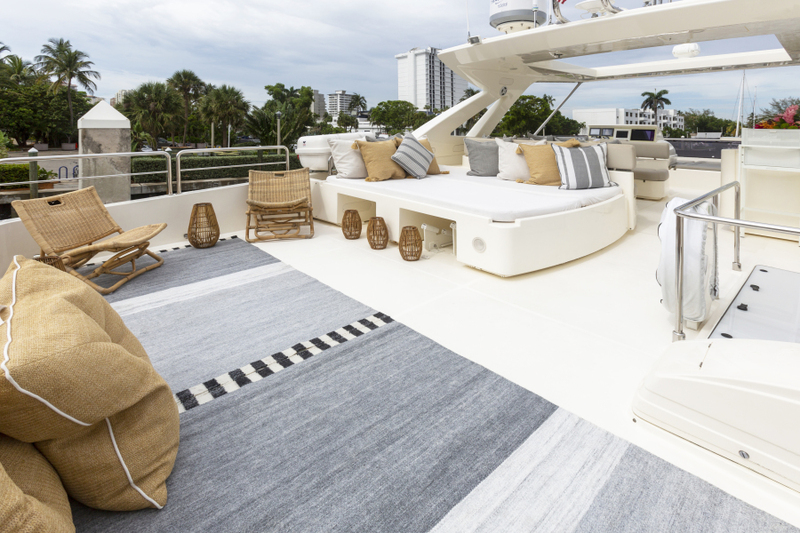 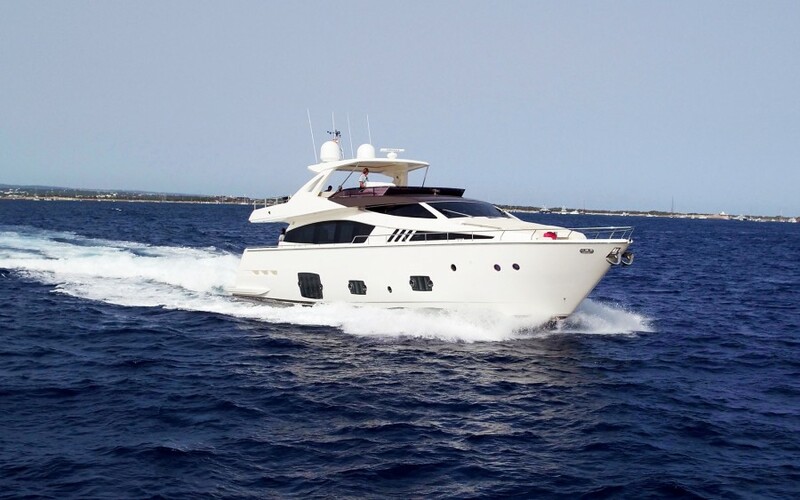 There is excellent separation between owners and crew with a door and retractable screen between the main saloon and the helm station, galley and crew quarters forward.The flybridge is large for a yacht this size with spacious lounging, dining area, breakfast bar, BBQ and retractable sun awning. 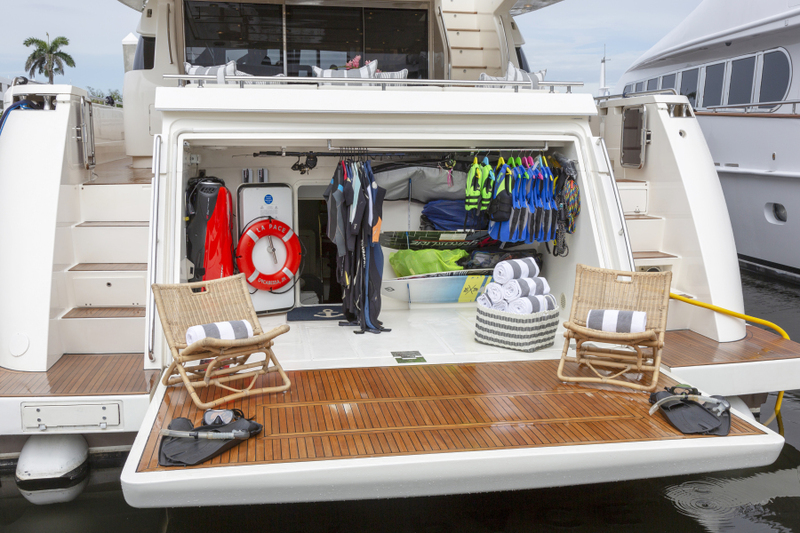 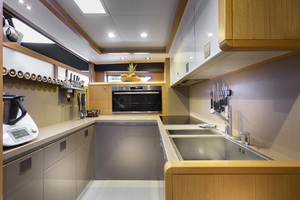 A fold down transom reveals the water toys and a perfect spot for water sports.The engine room is spacious, and access is easy to all machinery for all service routines. United Yacht Sales New Jersey would love to guide you through a personal showing of this 81' Ferretti Yachts F800 2012. 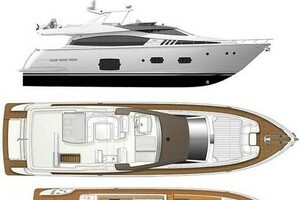 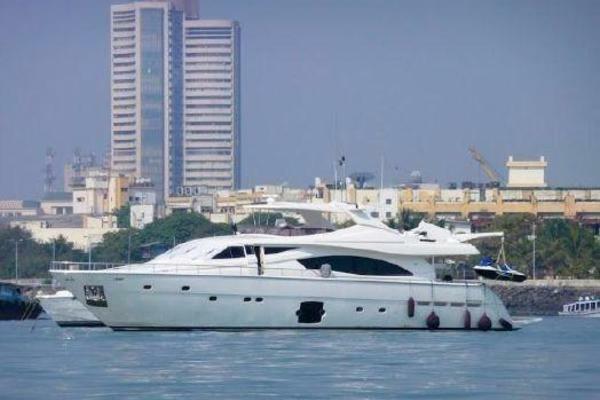 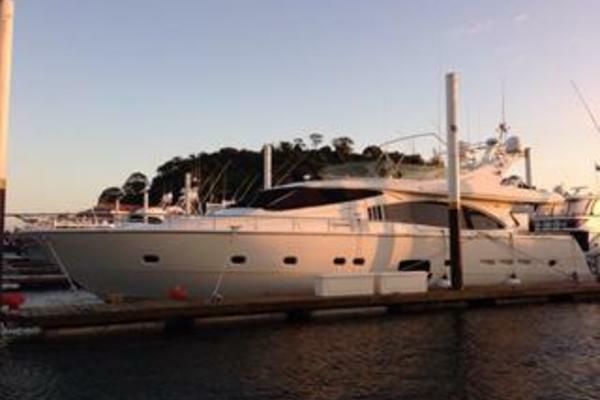 This yacht for sale is located in Fort Lauderdale, Florida and priced at $2,590,000. For a showing please contact us by filling out the form on this page and we will get back to you shortly! 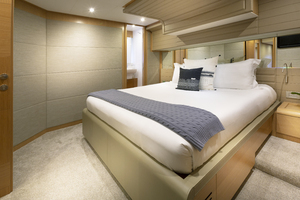 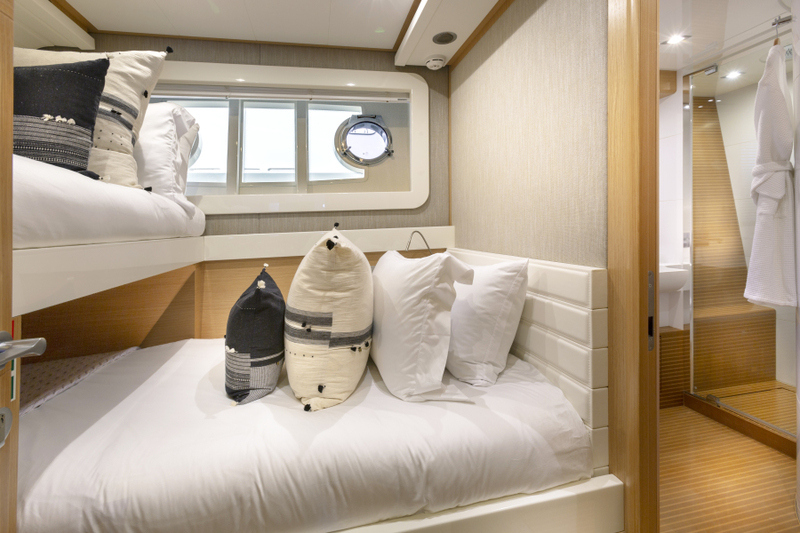 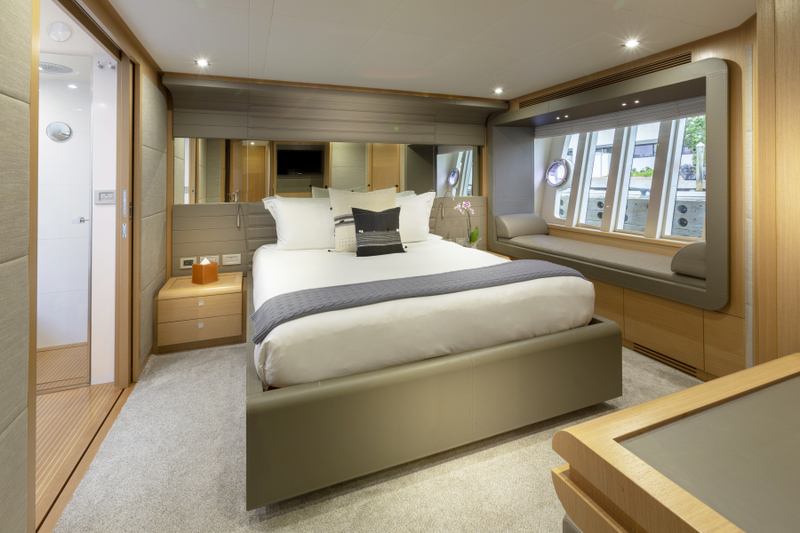 The master stateroom is amidships in the most comfortable and quietest space on the yacht. 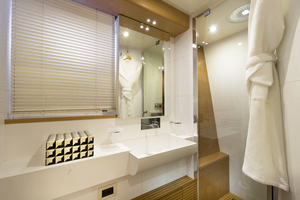 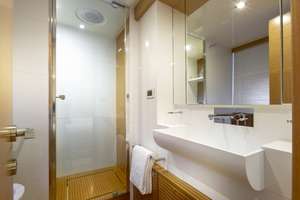 A king size berth, large shower room and huge windows are some of the features.The VIP stateroom is forward and has a Queen berth and shower room.A guest stateroom has twin berths which can be repositioned to provide a queen berth and the 4th guest cabin has over and under single bunks.All staterooms have ensuite shower rooms.Crew quarters are forward. 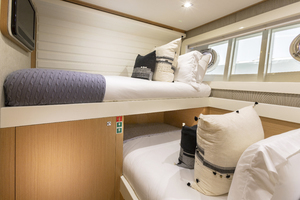 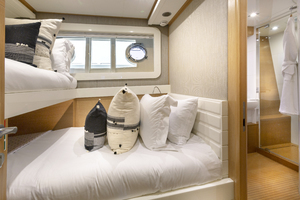 Two cabins, one with over and under single bunks and the other has been converted to provide a double berth. 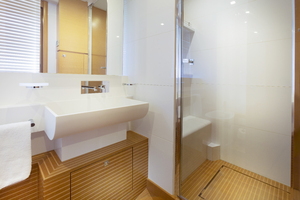 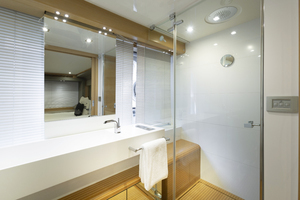 Each has ensuite shower rooms.